You’ve got to be pretty special to make the team. All Happy Hounders are vetted, checked, trained, monitored and fully supported by the team and their colleagues. When you work with one of us, you get the support of all of us with YEARS of experience. 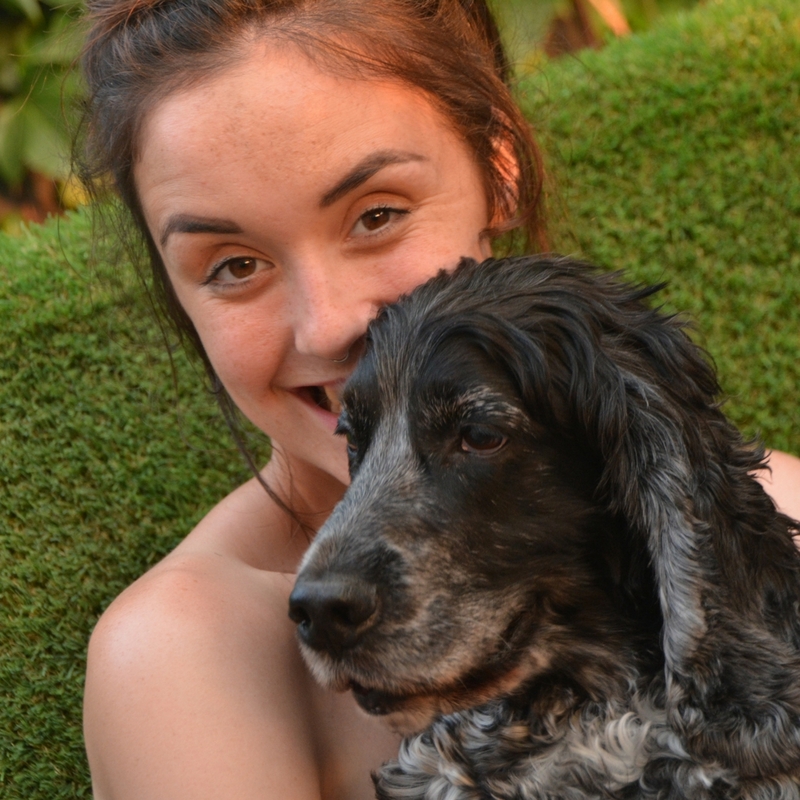 We truly believe our team of friendly, courteous, responsible and professional pet carers are the best around. They are a very talented, educated and diverse bunch who have chosen this profession out of a genuine passion for animals and come rain or shine will give your pet the attention and love they deserve. Read on to find out a little more about a few of the Happy Hounds & Cooler Cats team. After ten years running fundraising campaigns for charities, Victoria decided to travel the World for a year. 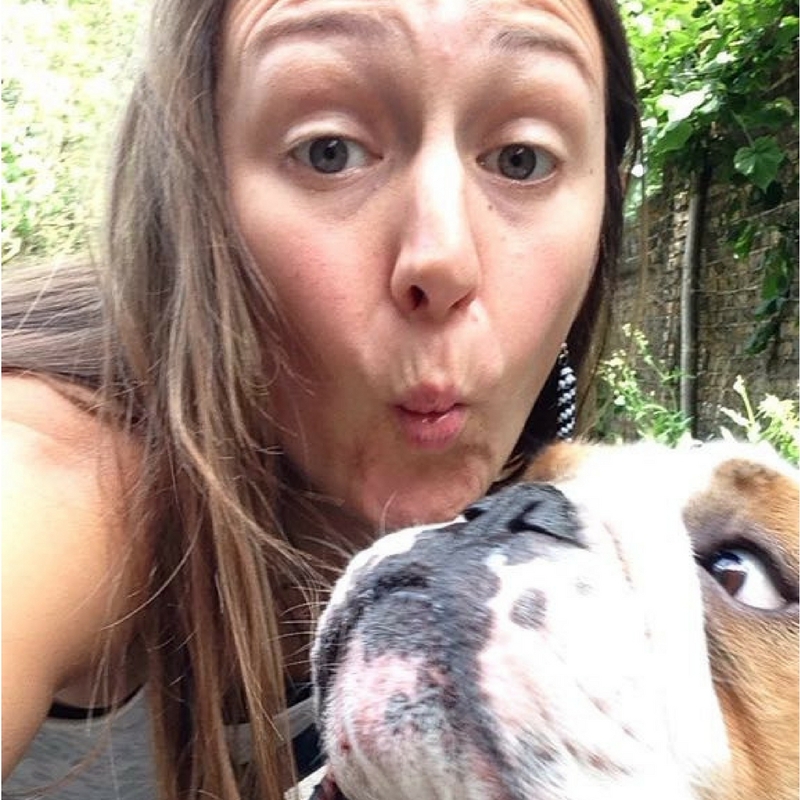 Having befriended stray dogs and cats in every place she visited, she returned to London and has been working as a pet carer and voiceover artist ever since. However, she’s also ferociously efficient, so we’ve dragged her into the office to put those skills to good use. She still does house sitting and some cat visits too, and your pets and your home could not be in safer hands. Having been without a dog for a couple of years, after the wonderful Liam, the not very good ex guide dog golden retriever, passed away, Ewan felt it was time to have a bit more dog in his life. 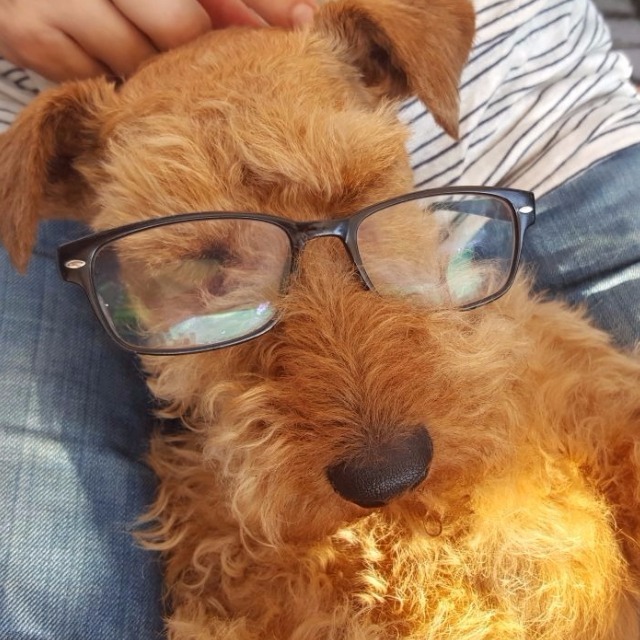 Ewan and his lovely wife April adore having a happy hound to stay with them and the dogs adore it in return. As as writers and directors, it fits in with their lives beautifully. Any dog staying there will have a fabulous time. She acts, she writes and she LOVES animals. 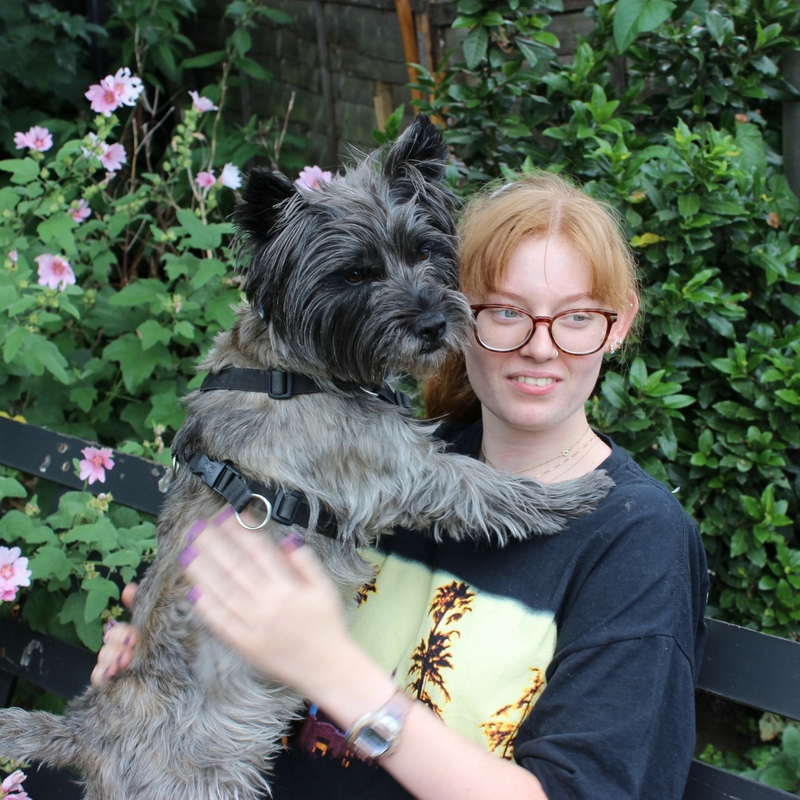 Lynn hails from Scotland and after coming down to London for University she now has the best of both worlds, creating her own theatre pieces and spending time with animals, including her own dog Jack-Jack, who adores having dogs to stay. He's chuffed to bits to have new playmates. As are Lynn and her partner Aaron. 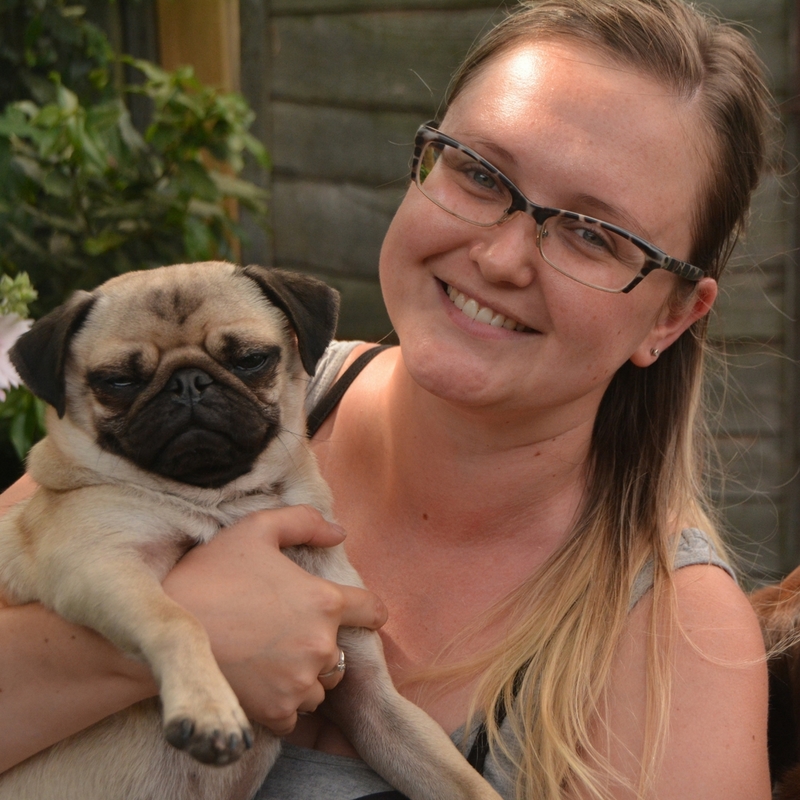 Vienna has been looking after pets professionally for nearly 7 years. After working in secondary schools she fancied a change in who she spent all day with! 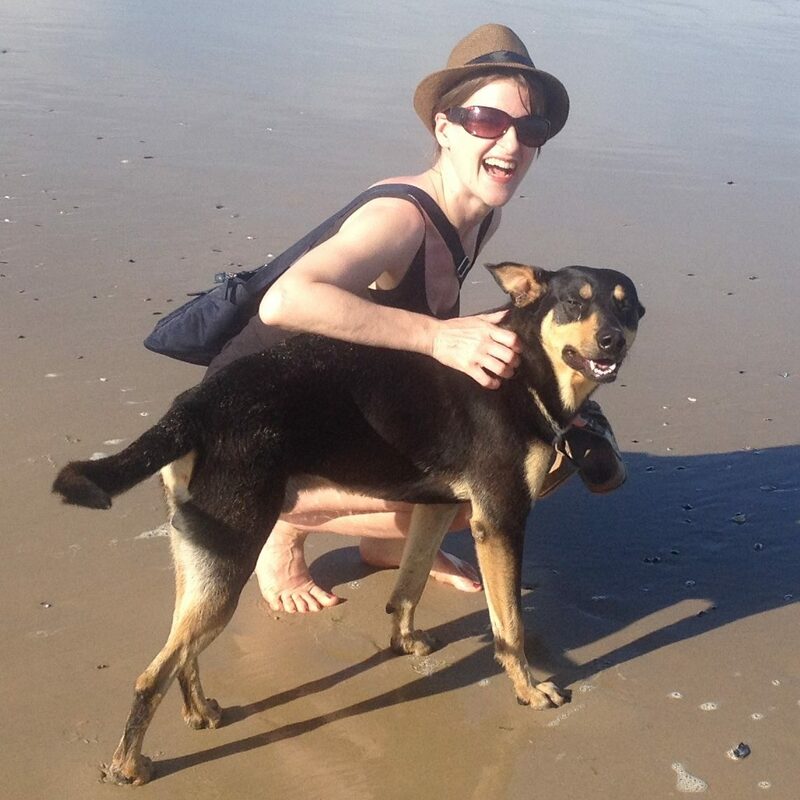 A true animal lover and believer in good vibes for uneasy animals, joining Happy Hounds was a no-brainer. She is also a singer/songwriter and loves coming home to write after a day of laughs with her animal friends. Sue doesn't do things by halves. So she got a dog. A rescue called Charlie. 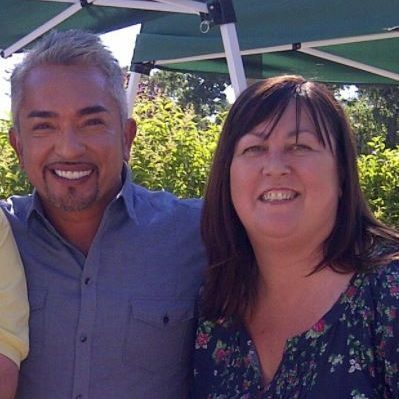 Sue felt Charlie needed some dog training and so went and saw Caesar Milan. And then realising she rather liked dogs more than she liked working in big business, she joined Happy Hounds, first as a walker which she loved. But then moved. To Norfolk. But we liked her so much we asked if, using the magic of the interweb, she'd carry on working with us and she's helping run day to day business, on and off ever since. We refuse to let her go and you may hear her occasionally quote Al Pacino in the Godfather: "Just when I thought I was out, they pull me back in!" Nicola is another we won't let go. She's been travelling for the last year after working with us for two, and we're delighted we've managed to lure her back to Happy Hounds. After graduation she moved to London and was ecstatic to find a job working with animals. Growing up with dogs her whole life, she understands the love and importance of dogs as part of the family. Quickly becoming a key member of the team, she studied dog training as well as managing daycare and it's great to have her back with the us so she can develop along with us. Shelly was looking to take her career in a new direction after working as a business analyst and opening her own company. With a love of outdoors, having been brought up on a farm and spending summer holidays at the family kennels, dog walking was the perfect job. 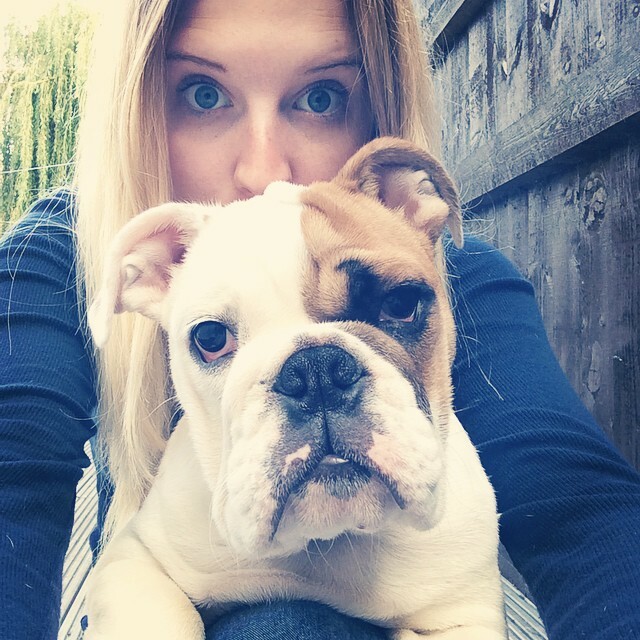 Shelly now focuses on dog day care at her home where the dogs have free roam of her garden and house (much to her cats dismay), a stones throw from the Wanstead Flats which is perfect for some brilliant walks. Maeve is the youngest member of our team, at 18 years old but don't be fooled by her youth! She has had animals all her life, from guinea pigs to chickens to snakes, although she currently has 3 cats and 2 dogs and her experience shows with all the happy hounds & cooler cats. Your pets are in excellent hands with her. Neil - Tommo to his friends - is bloomin’ fantastic with animals. A long time dog owner himself, always a rescue from Battersea, he’s a big fan of site hounds. So give him a whippet or a lurcher or something pointy and quick and he’s in heaven! Neil looks after our dog's who need a little more care and attention, on Solo walks and Puppy Sits- he's attentive and has the patience of a saint! He’s also a professional photographer, with bands and gigs his speciality. We do have a lovely creative bunch. 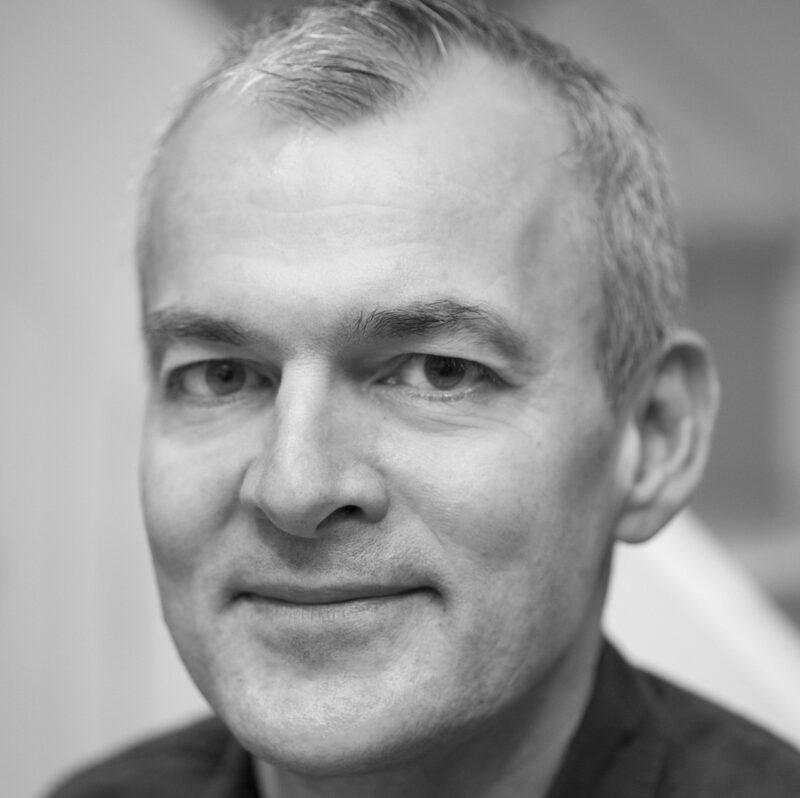 Richard joined the team after taking early retirement (but he looks so young!) from a long career in banking client services. He was looking for a complete change of direction away from the office, but was keen to retain a client focused role. 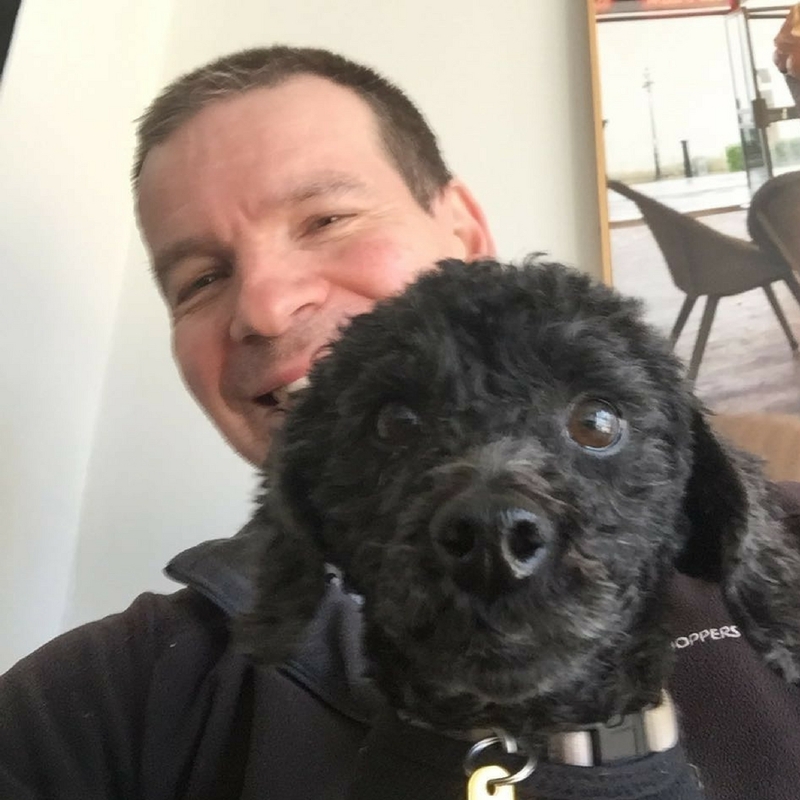 As a lifelong animal lover he feels that he has found the perfect answer: thoroughly enjoying his new career out in the fresh air looking after our lovely furry clients every day! Enjoys the company of all animals after being brought up in a household with various different ones. 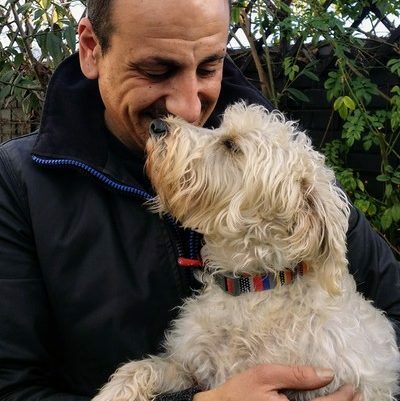 After 18 years shut away in retail and management, always wishing to do something different and outside, Vass worked with the RSPCA before joining Happy Hounds and has never looked back! A music, arts, nature and of course animal lover, always looking forward to a good run about with a pack of dogs. 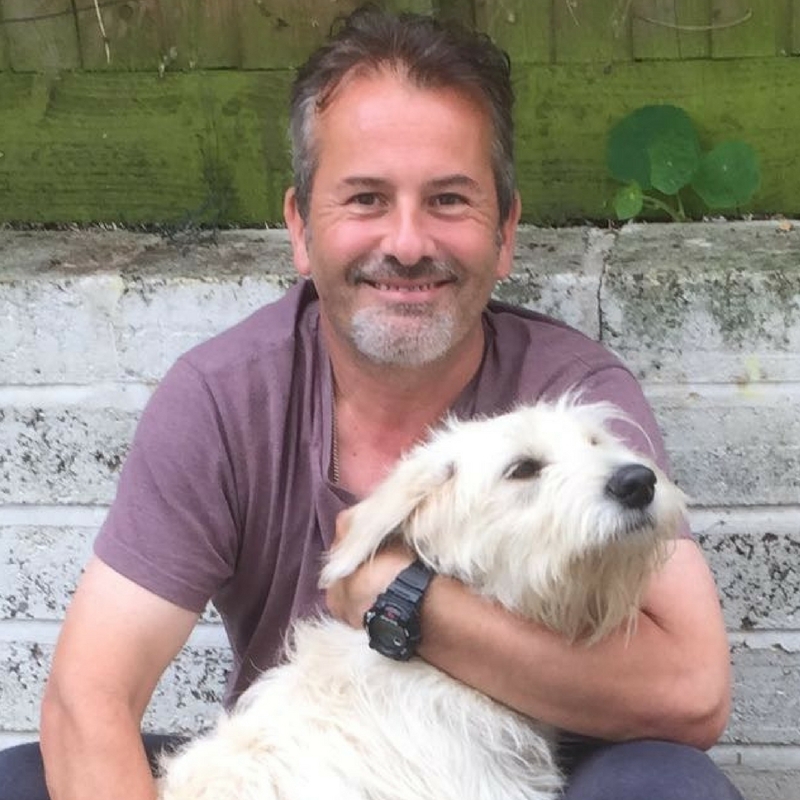 Having always owned dogs and loved training them, Stewart wanted to make working with dogs his full-time occupation. All the dogs adore him (he is essentially the Piped Piper of Wanstead Flats!). 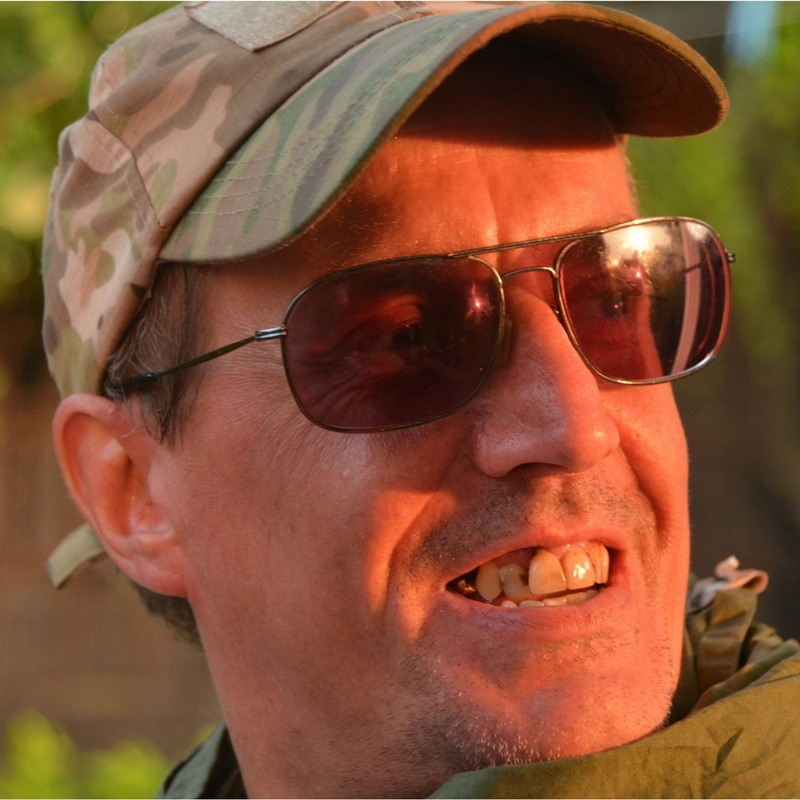 Living with his children in Walthamstow, nothing makes him happier than spending time with his furry friends. Oh my goodness, she loves a pug. And all of them to be honest. In fact we've banned her from saying the word 'cute'. But nothing Natalie loves more than a fab walk followed by a massive pooch cuddle (assuming they haven't rolled in anything too fragrant). She has a lap and sofa that dogs just love and they all have a great time. She's also super organised and helps run the Happy Hounds & Cooler Cats office along with Sue and Cath. Organising the bookings and sitters is always better with a dog on your lap! Having worked for a large financial organisation for over 30 years and the later years in London Jayne decided that she wanted a different pace in life and having had a passion for animals since a young age this is the field she turned to. 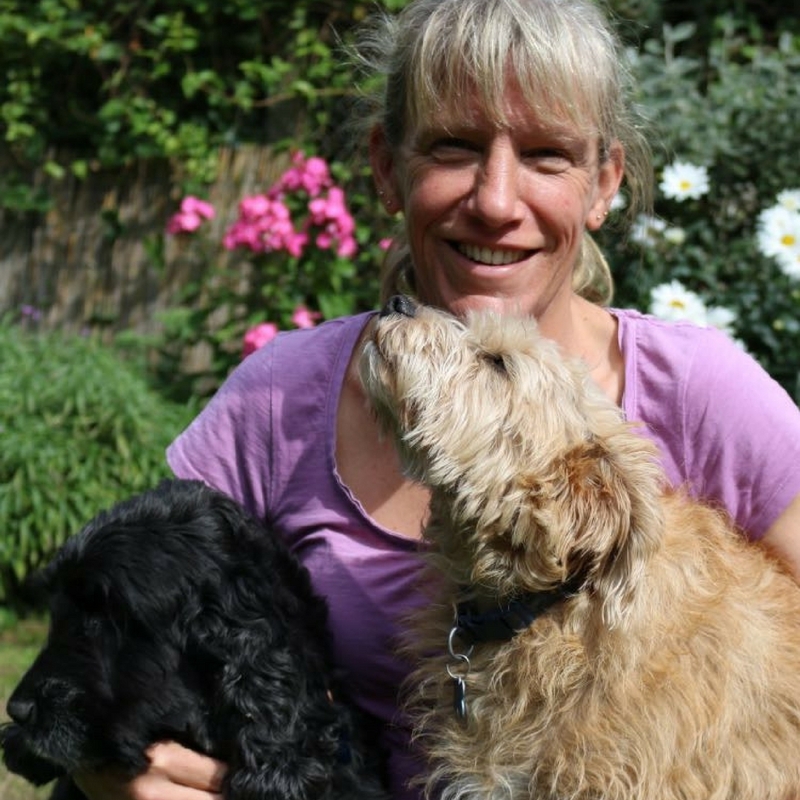 Jayne loves the company of the dogs she walks and cats she feeds and this job also fulfills her love of the countryside. 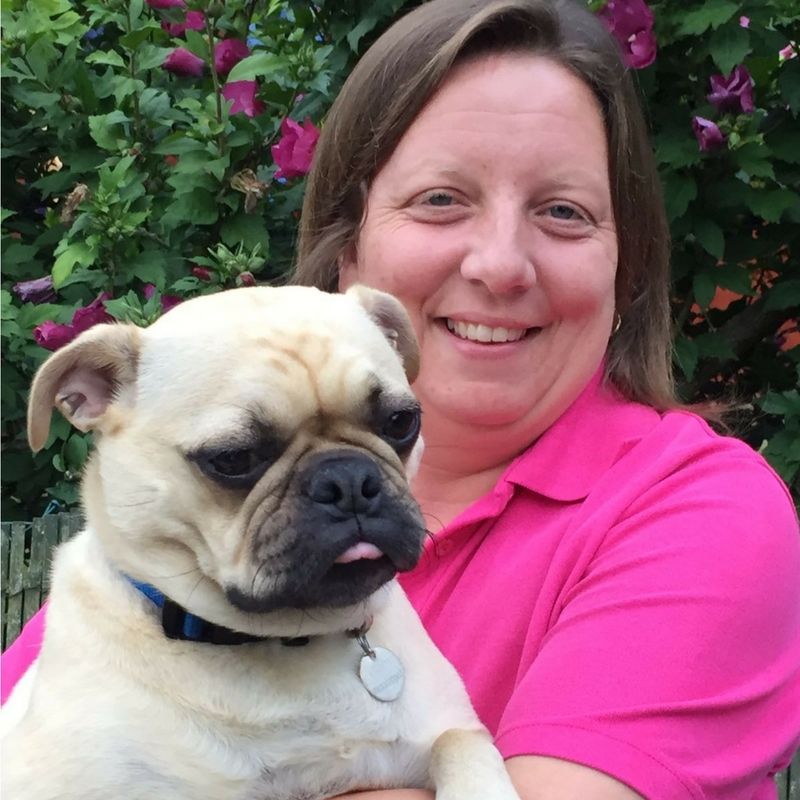 Jayne covers enjoys having dogs to board when they live as part of the family and enjoy lots of attention, love and cuddles! 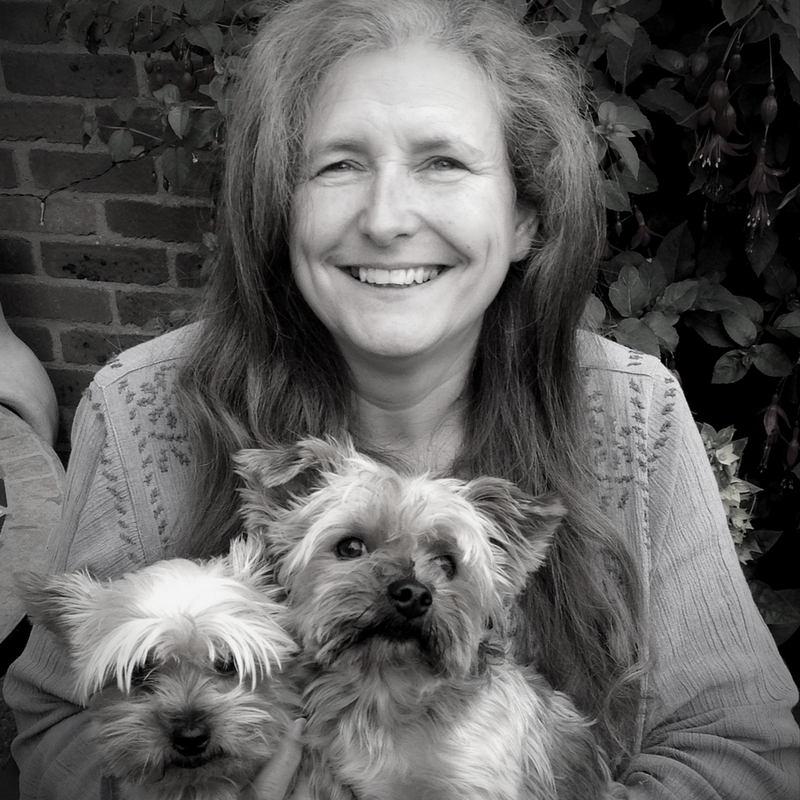 Having lived in Sevenoaks all her life, originally working in property then as a legal PA. Whilst her children were young, she worked in the family courier business and cared for people's horses part time. Once they started secondary school, she decided to look for a different career path. With a total love of the outdoors and being brought up with dogs and horses, presently owning two horses and two dogs of her own, working with animals was always something she had wanted to do. Dog walker, puppy sitter, cat sitter & occasional dog boarder! 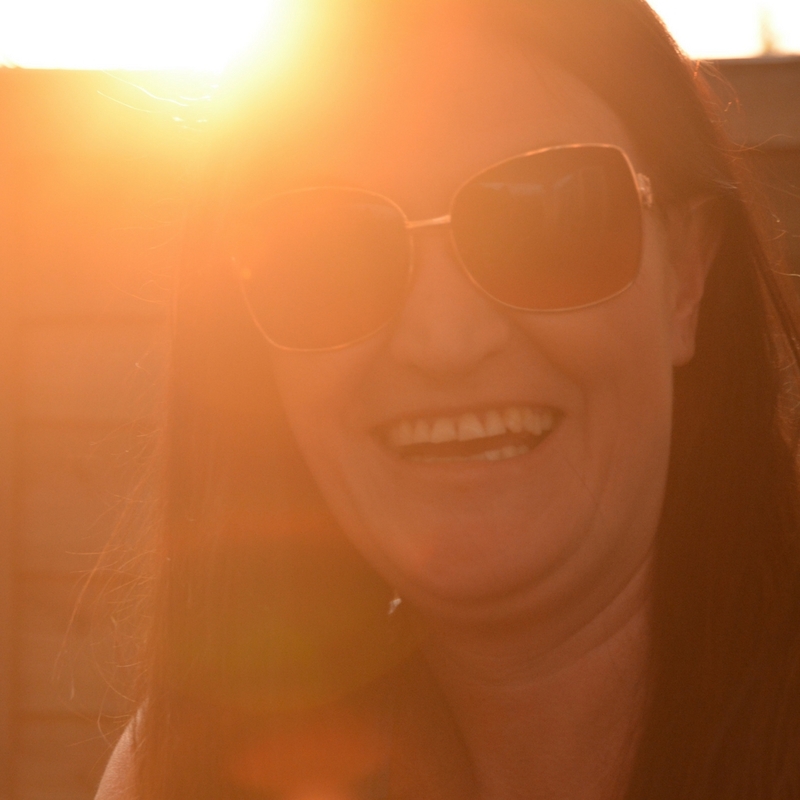 After working in care with the terminally ill for five years, Kelly felt it was time for a change. Brought up with a number of dogs and smaller pets, she decided it was working with animals that was best for her. 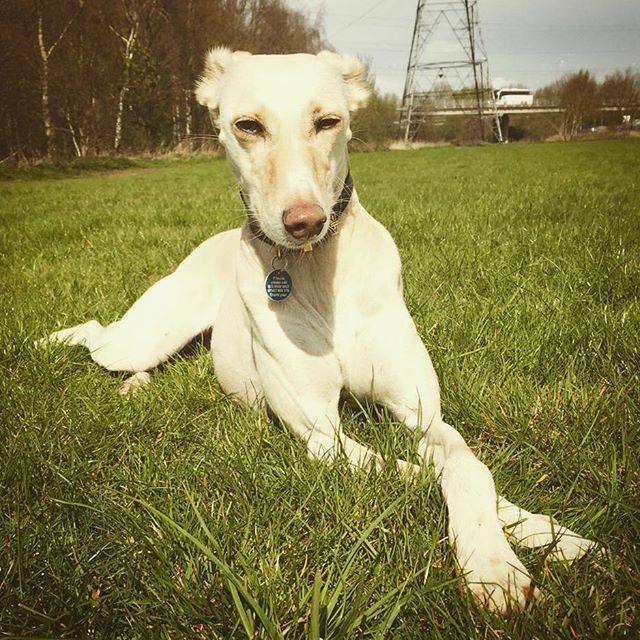 She has been with Happy Hounds since 2011 and loves being outdoors with the dogs and finding new walks to explore. 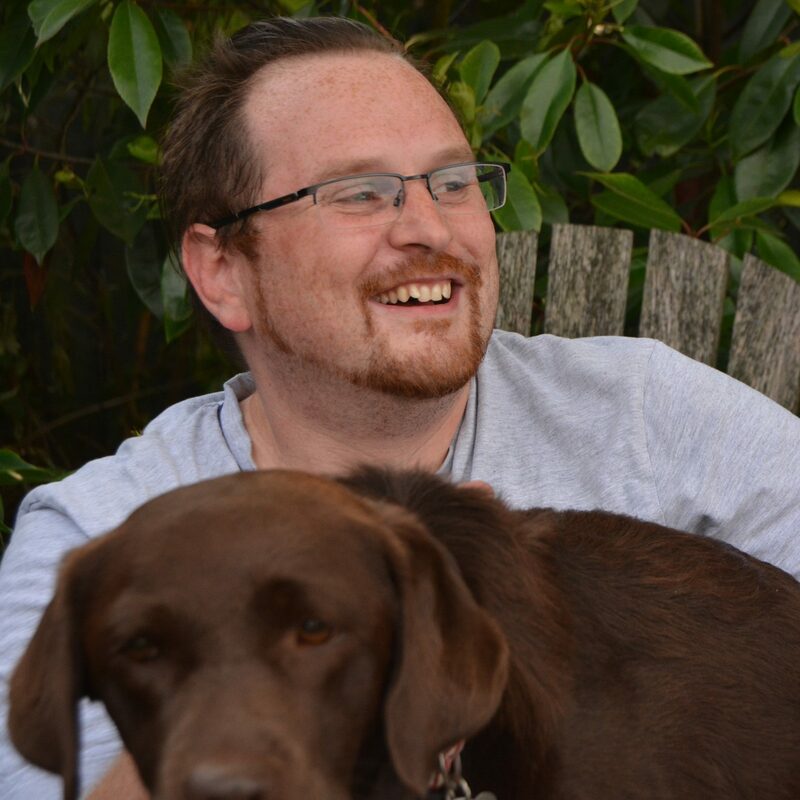 Paul has been working for Happy Hounds for four years, and over that time he's never met a dog he didn't like! The job gives him time to spend on his passions, animals and nature during the day, and making music in the evenings. Following a business and marketing career a change of direction was needed. No more office politics for her. Her partner at the time felt the same. So they decided to follow their passion: animals. They decided they wanted to provide a more caring alternative to kennels and catteries that minimised the distress sometimes caused to animals by being away from home and also enabled working owners to have a happy dog without the worry. Many years later the business has grown but we keep the ethos of a family: to care and look after the animals as if they were our own and to work as a team and support each other. To have a lovely working environment with great animals and great people. Most important thing is doing a great job and favourite thing? Apart from cuddling animals, is seeing people doing jobs they absolutely love. To join us you have to be pretty special. You have to be kind. You have to be a team player. You have to be dotty about animals. You have to be able to follow clients’ instructions TO THE LETTER and you have to be calm, sensible, reliable, friendly, responsible. If you have the right attitude and experience we can train for other things. It goes without saying you’ll be happy to get muddy and smell a bit of dog! We don’t care what your background is. And if you’re already doing this but maybe on your own but would like to get the support of a team, then please get in touch.